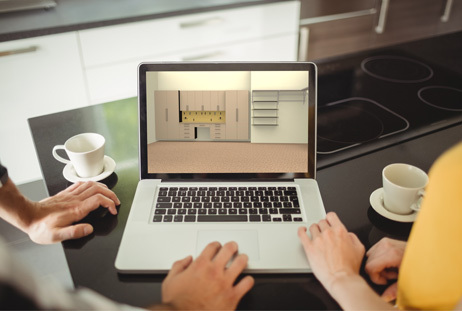 With our 3D Design Software you will get to see what the Monkey Bars Storage System will look like in your garage before the final installation. We program the interior of your garage into our software so you can see exactly how the system will fit in your garage. You will have the opportunity to have the value of a Professional Design Consultation at no cost or obligation. To start off we will email you a detailed quote and 3D drawings of your garage remodel that you can view from all angles. If you find any changes you would like to make to the design, we would be more than happy to provide them for you in a timely manner. Once your design is exactly how you want it, simply book with us and we'll schedule the project.